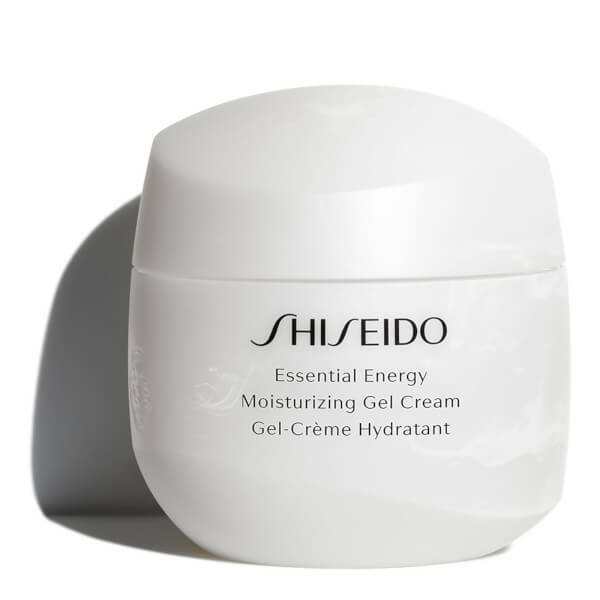 Infuse your skin with a healthy glow with Shiseido Essential Energy Moisturising Gel Cream, a lightweight and velvety moisturiser that is bursting with nourishing natural ingredients. The lotion utilises ReNeura Technology™ to essentially reprogram the skin, encouraging cells to respond to the conditioning benefits of the formula. 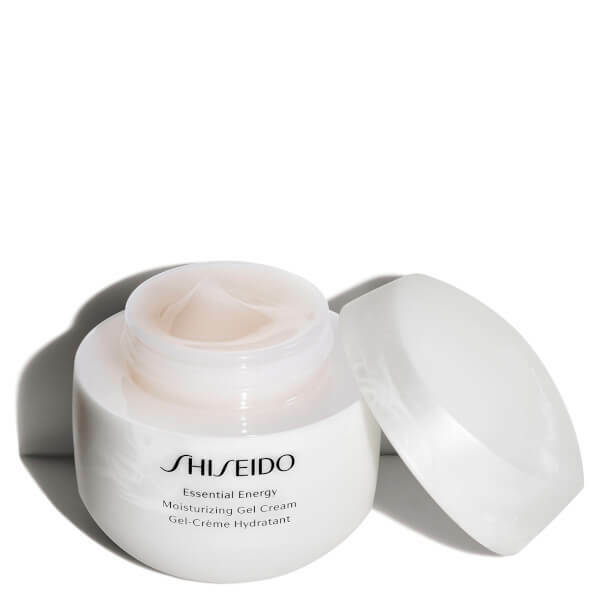 Extracts of Citrus Peel and the Ashitaba Plant help to retain vital moisture and boost the skin’s natural processes, leaving the complexion smoother, brighter and intensely hydrated. Free from parabens and mineral oils. Non-comedogenic and dermatologically tested. 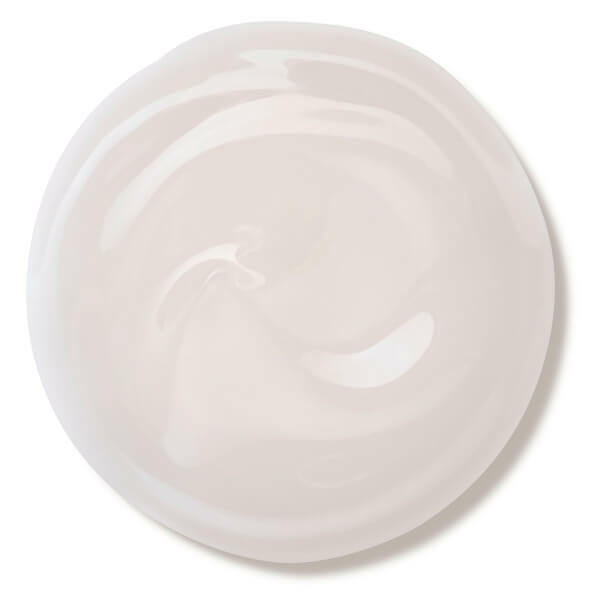 Smooth over face each morning and evening after cleansing and softening. Avobenzone 2.0%, Homosalate 5.0%, Octinoxate 7.4%, Octocrylene 3.0%, Oxybenzone 1.5%, Water, Dipropylene Glycol, Betaine, Butylene Glycol, Glycerin, Behenyl Alcohol, Sd Alcohol 40-B, Dimethicone, Isododecane, Isohexadecane, Beheneth-20, Silica, Myristyl Myristate, Phytosteryl Macadamiate, Erythritol, Xanthan Gum, Tocopheryl Acetate, Peg/Ppg-14/7 Dimethyl Ether, Peg/Ppg-17/4 Dimethyl Ether, Caffeine, Scutellaria Baicalensis Root Extract, Angelica Keiskei Leaf/Stem Extract, Sodium Acetylated Hyaluronate, Camellia Sinensis Leaf Extract, Citrus Unshiu Peel Extract, Zingiber Aromaticus Extract, Hydrolyzed Conchiolin Protein, Polyquaternium-51, Pyrola Incarnata Extract, Panax Ginseng Root Extract, Ppg-17, Stearyl Alcohol, Beheneth-30, Alcohol, Disodium Edta, Carbomer, Cellulose Gum, Bht, Sodium Metaphosphate, Potassium Hydroxide, Sodium Metabisulfite, Tocopherol, Hdi/Trimethylol Hexyllactone Crosspolymer, Cinnamomum Cassia Bark Extract, Phenoxyethanol, Fragrance, Iron Oxides.